The Denali Diaries: WEEK 3 & SUMMIT SUCCESS! Toronto is known for a lot of things - the CN Tower, its vibrant food scene, the ROM and an abundance of hipster coffee shops. Unfortunately (for me) it’s not exactly famous as the mountaineering mecca of the world. You’re more likely to find a pair of Gucci heels or an Alexander McQueen gown within a ten kilometer radius than a pair of high-altitude boots – Mountain Equipment Co-Op excepted of course! SO, given the above response from Gear-Guy and our shared appreciation for digits, it goes without saying that I’ve become slightly obsessive about gear for Denali. This leads me to a quote from the legend that is Sir Ranulph Fiennes, “There is no bad weather, only inappropriate clothing.” As a farmer’s daughter, I also know that there’s little point in worrying about the weather – but there are definitely things that you can do to prepare for it. Base-layers – This is a key layer requiring plenty of planning and it's layer that I’ll never take off. Given conditions on Denali, I mean NEVER take off. Like, for the full 3+ weeks. Features I look for when choosing base layers are fabrics that wick moisture from my skin. Fabric technology (yes, there is such a thing) that has evolved includes air permeable fleeces with voided grid construction. When looking at base layers, I look for designs that are women-specific, articulated to move with the body, and layer easily. Hoods on base layers are a personal choice – I personally love them as they’re an extra layer under a helmet and some even have integrated panels that can be worn as a neck gaiter or balaclava. Arc’teryx’s Konseal Hoody is a great example of this. On my legs I’ll wear Rho AR bottoms, by Arc’teryx. They’re a versatile mid-weight, insulated tight. 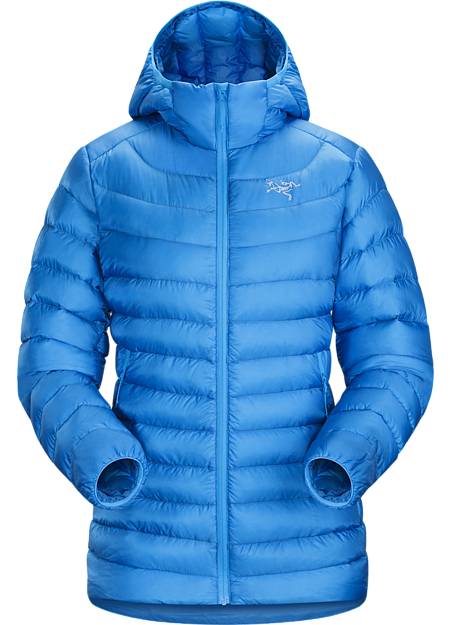 Mid-layer jacket - Cerium LT – Arc’teryx - I’m slightly obsessed with this mid-layer jacket by Arc-teryx. The Cerium LT is by far the lightest, most compressible and warmest mid-layer down jacket that I’ve come across and a reflection of some great product design. Arc'teryx used synthetic insulation in targeted areas that would most likely see moisture. The water-resistant shell sheds any light moisture that would otherwise rob the lofty down of its insulating properties. Think of it as a perfect jacket for a cool winters’ day or, if you’ve got plans to be trekking, hiking — and therefore sweating — in the dry, cold mountain air. I suspect it will become a permanent fixture on my body until early July. Crampons – Black Diamond Sabertooth – Now we’re talking tools. When I think of crampons I smile because it means that I’m planning to have some fun. At 910 grams (yes, this is important! ), Black Diamond Sabertooth crampons have been my "go-to's" for Scotland, the Alps, Andes and Himalaya. They’re excellent all-arounders perfect for difficult mixed terrain, mountain travel and steep ice. Stainless steel keeps them light. I’m smiling just thinking about them as I type. hanks to a winter adventure gone-wrong with my brothers as a 7-year old, my hands are my Achilles heel. I had frost nip at a very young age which has made my hands extremely susceptible to the cold. Emotionally scarred by the experience, I’m petrified of having cold hands so the anxiety is mitigated by an investment into a solid glove / mitt system. My hands-down favourite (excuse the pun) for extreme conditions are BD Guide Gloves and BD Mercury Mitts. 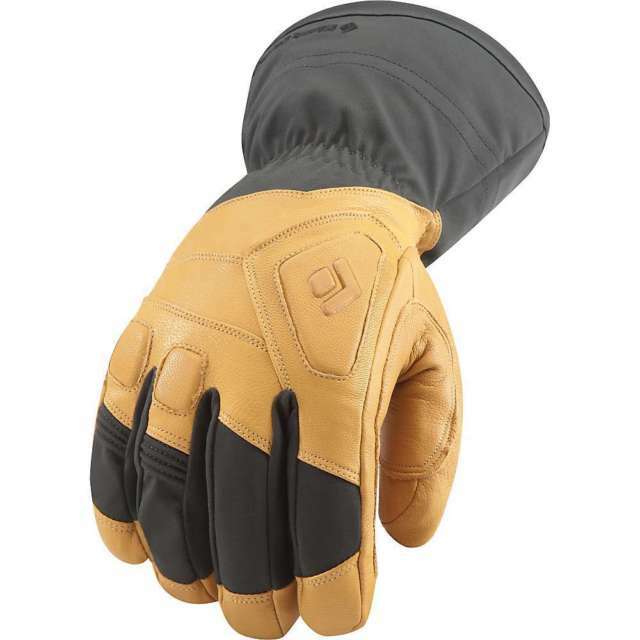 Both are designed to fend off seriously cold and ugly conditions with tough outer fabrics, and wool pile liners. Dexterous enough that you can fiddle with your bindings, zippers, and gear without having to take them off, yet warm enough to take the edge off the coldest of days. Harness - Black Diamond Couloir - Function over fashion….! Literally. A harness should fit over bulky clothing. Adjustable leg loops are key for changing pants and navigating through impromptu stops. From tests with a few different brands my preference is the Black Diamond Couloir for its simplicity and ease of wear with a pack. .
Boots – LaSportiva Olympus Mons – Not quite Jimmy Choo’s but nearly as expensive and not quite as practical on a Friday night in downtown Toronto. Going back to Gear-Guys passion for digits, the Olympus Mons are investment I’ve been happy to make. This will be my 5th major outing for my Olympus Mons and I absolutely love them. At 2.26kgs (yes, I weighed them) it’s a great superlight double boot with an insulated inner boot. The thermo-reflective outer boot layers on warmth, and a durable gaiter with Kevlar (yes, bullet proof) reinforcements, making it perfect for conditions on the Alaska Range as well as the peaks in the high Himalaya. Sleeping Bag – Western Mountaineering – Bison – Think of it as a high end duvet from Wayfair at around the same price-point – just with more colors, a hood and rated to a balmy -40 degrees F (minus 30 – 40 degrees C). The aptly named Bison is a mummy-style sleeping bag with 4–lbs (~2 kilos) or more of high loft down My sleeping bag serves as a “locker” for storing water bottles, batteries, liner boots, and anything else that needs to not freeze. From experience, my sleeping bag is about 30% “Best Buy” electronics and 70% me. 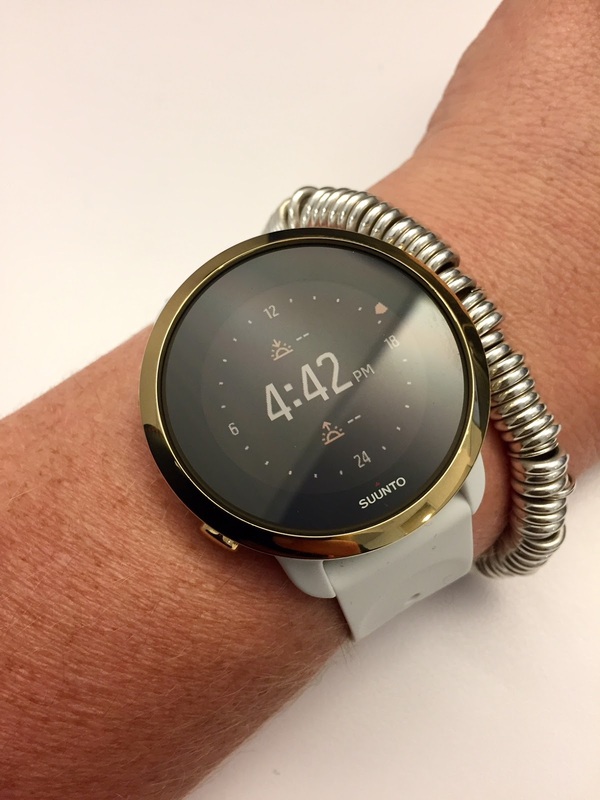 making the most of the leaps and bounds made by companies like Suunto when it comes to smart-watches. Ten years ago I bought my first Suunto Core – it had the ‘core’ features I needed – altimeter, time, light and alarm. With the rise of smart-technologies and integration with fitness, Suunto has come forward with leaps and bounds. Whilst I use a Suunto 3 Fitness to track my day to day activities (e.g. steps, training, health stats - and yes, even boxing!) I’ll be using the Suunto Traverse on Denali. The Traverse uses the same features as my much beloved Core PLUS it’s also equipped with a digital compass, barometer, thermometer, altimeter and GPS tracking and navigation features. Toiletries – Interestingly, we’ll be experiencing 24hrs of daylight on Denali – so the much feared cold of the early hours of the morning (think bitterly cold alpine starts) is slightly averted. I've stocked up on sunscreen in stick format as anything liquid / crème will freeze in the sub-arctic conditions. My go-to is Sun-Bum.. "cause you gotta trust the bum." Eyebrows were raised by my male-dominated team but it wasn’t long before I received humble requests from the same male teammates* for said ‘muff wipe(s)’ and the sweet aromas of cucumber, chamomile flower, and lavender were soon wafting across camp. Beautifully smelling they are vegan, free of parabens, synthetic colors and fragrances. They're made in Canada with pure essential oils and are non-toxic, biodegradable and feel luxurious to use. And you can buy them here: https://ilovemymuff.com/products/fresh-wipes You’re welcome. And on that high note, and before I geek out any further I’ll end this blog here! I hope it's been insightful. I've benefited tremendously from the experiences and recommendations from others and would be happy to play it forward - so please feel free to get in touch! *no egos were harmed in the writing of this blog. In 3 days I depart for Alaska to brave severe conditions to climb the tallest mountain in North America – Denali via its notoriously challenging west buttress route. Located 130 miles north of Anchorage, Alaska, Denali rises an icy 6,190m (20,310 feet) out of a sea of glaciers and other peaks that comprise the Alaska Range. High altitude, sub-Arctic conditions, fickle weather, unpredictable storms, steep slopes, and deep crevasses combine to make Denali one of the most difficult and severe mountains in the world. The climb will involve relaying loads of equipment over 66 kilometers (41 miles) in 22 days, establishing camps and climbing slowly enough for proper acclimatization. In addition, I'll be carrying a 60 pound pack and pull a 40 pound sled, loaded with gear to establish camps on the mountain as I prepare to get into position to summit in late June. I'm taking on this challenge to raise funds and awareness for two incredible charities My goal is to raise $2,000 for Women's College Hospital (Canada) and 2,000 GBP for Wellbeing of Women (UK) to help fund critical and lifesaving research into cancers impacting the health and wellbeing of women and their families. All donations - no matter how big or small - are tremendously appreciated.